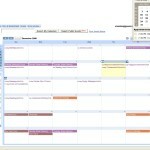 Google announced on the official Gmail Blog that it has revamped its Calendar products. In the Google Calendar some changes has been made that definitely desirable for the users. The layout of Google Calendar has simplified and new style is perfectly matched able with other Google applications. More functionality will facilitate the user more than before. The frequently used information will appear at the top for rendering an easy accessibility option. Samsung phones launched new Samsung mobile in the Samsung Wave family series with name Samsung S7230E Wave 723. The Samsung phone wave 723 smartphone runs on the Bada OS platform like S8500 Samsung Wave phone. The Wave 723 samsung does not equipped with AMOLED touchscreen like other samsung smartphones like Samsung Epic 4G and many more. Tegatech is going to launch its new release TEGA V2 tablet next month in the market. Tablet market is getting saturated day by day but even then the demand of tablet device is there. The Australian Company tablet TEGA V2 runs on the with Windows 7 Operating system platform instead of Google Android OS. 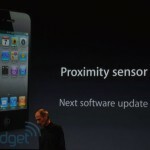 Apple iPhone 4 users are facing issues with proximity senor of the iPhone. This problem is really frustration among the iPhone Users as there iPhone get stuck or hanged during calling or while taking with their friends. Apple iOS 4.1, which is in the testing stage introduced by Apple phones to fix up the proximity sensor problem is unfortunately not able to fix up the problem. 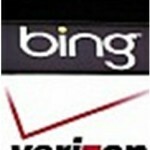 Microsoft business signs a contract with Verizon Wireless that all the Verizon Android phones will come with Microsoft search engine Bing. The new Google Android OS phone devices launching through Verizon will be pre-bundled with Microsoft search app Bing search. Nokia mobile phone introduces exclusive Green Nokia N8 phone, for the UK customers via Vodafone. Vodafone one of the biggest mobile phone network in UK, gives exclusive details related to the Nokia N8 exclusive Green mobile symbian phone. ICC International Cricket Council 10th World Cup 2011 will be hosted by India, Sri Lanka, and first time ever co hosted by Bangladesh. Cricket is one of the popular and famous games played all over the world. The ICC World Cup tournament is the biggest event, played after four years in cricket. Specially, In South Asian region, people are mad after cricket game. 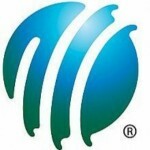 ICC World Cup Cricket 2011 announced by International Cricket Council to be hosted by South Asian Countries. Cricket is the most famous game in South Asia and people here are crazy for it. Three South Asian test playing countries that include Indian, Sri Lanka, and Bangladesh will be the Co-host of ICC World Cup Cricket 2011. World Cup 2011 matches are scheduled to be taken place from February 2011 till April 2010. The Opening Ceremony of ICC World Cup Cricket 2011 will be carried out by Bangladesh and held on 18th February, 2011. 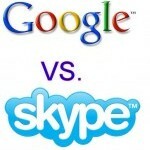 Internet has really changed the way we talk, we live, we work, we enjoy etc in a tremendous manner. 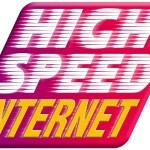 Due to high speed internet technology, the businessmen feel it possible to expand their businesses beyond the boundary of their countries; speediest communication between the professionals of various countries is guaranteed just because of internet facility.